THE READERS RAG: CANADIAN AUTHOR AMY STUART SPEAKS OUT ABOUT HER WRITING PROCESS! Various and sundry observations on all the books we find fit to read, no matter how junkie. CANADIAN AUTHOR AMY STUART SPEAKS OUT ABOUT HER WRITING PROCESS! 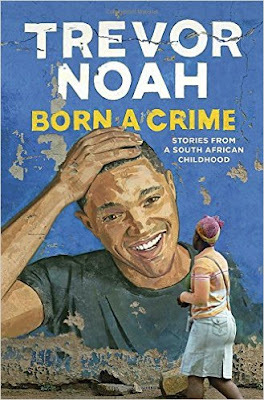 THE AUTHOR, TREVOR NOAH, BURSTS UPON THE SCENE LIKE A COMET! SPOOKY, SPOOKY SPOOKY: "THE GIRL BEFORE" BY JP DELANEY! DYNAMIC AUTHOR C.J. OMOLOLU DIED OF CANCER AT THE END OF 2015! AND THE RAIN FALLS DOWN--VIRGINIA BERGIN'S "H2O"! JOANNE V. CREIGHTON SPEAKS OF THE CHALLENGES OF LEADING A WOMAN'S COLLEGE IN HER RICHLY NUANCED MEMOIR! "TRACER" BY ROB BOFFARD: WILL THE HUMAN RACE SURVIVE? "THE EDUCATIONAL ODYSSEY OF A WOMAN COLLEGE PRESIDENT"